Available from the Author on April 19, Released to Public on June 14 . . . . . Aging Successfully offers suggestions for greater satisfaction and happiness for people over age 50. It raises spiritual and emotional issues such as how to deal with depression and gives concrete action steps. This book is packed full of practical help; it is a road map for aging, especially during economically challenging days. This practical, easy-to-read book provides wisdom and time-tested counsel for a happy and highly productive second half of life. When Dave Gallagher was considering retirement he wanted help with financial planning and retirement living options, so he began compiling resources. Dr. Gallagher combines the information he gained with principles that he learned in working with hundreds of people over the years and compiled them into this book. The principles come from personal experience, research, and helping people age successfully. The author draws from his experience of ten years as senior pastor in an age-restricted community designed to reach people over age 50. * How to keep your perspective and stay balanced. * Insights to help you navigate the seasons of the second half of life. * Strategies to help you prepare for the empty nest, retirement, grandchildren, new roles, volunteerism, changing energy and interest levels, and how to pursue new interests. * A resource for adult children with aging parents or grandparents. * A look at the biblical view of aging and how to keep a long-term marriage alive. * How to face illness, overcome anxiety, deal with loss and grief, and avoid depression. * Lessons on how to overcome the temptation of materialism. Loss can occur in many forms, such as the death of a loved one, divorce, or termination of a job. Healing Takes Time is filled with 52 meditations and reflections to help people experiencing loss start a journey of healing. This biblical resource draws on experiences from Gallagher’s life and includes a theme, relevant Scripture passages, personal illustrations, and practical steps to take toward healing in each meditation. Just as a physical injury takes time to mend, emotional and spiritual anguish require time, patience, and faith to heal. Perspective is often lost during painful times, and the Scripture passages in this book are a fresh reminder of God’s love and faithfulness. Most people have heard about the stages of grief, but knowing the stages academically is quite different from knowing them in the heart. Healing Takes Time helps those suffering loss, loneliness, and sorrow prayerfully walk through the stages of grief step—by—step. Healing Takes Time is ideal for support groups or people working at their own pace. 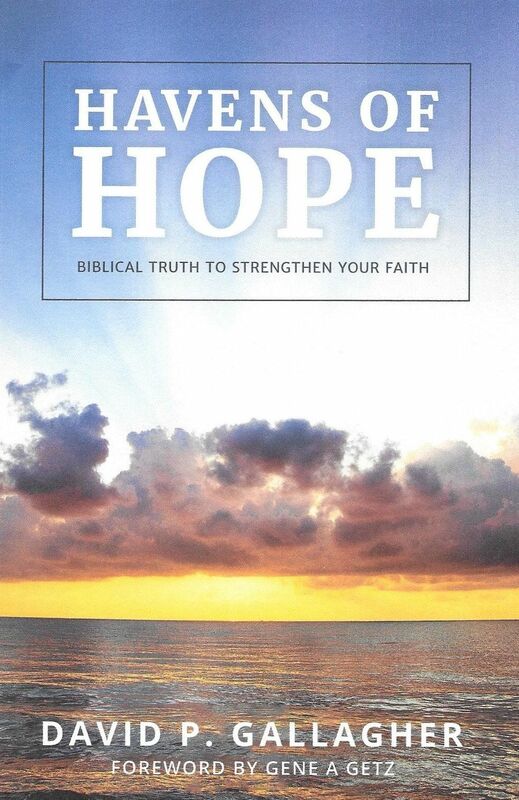 This short, practical, and focused book is a helpful companion for anyone experiencing emotional or spiritual distress. Over one-quarter of Americans are age fifty or older. This sizable group has unique needs and requires specialized ministry. In this resource, Dr. Dave Gallagher offers invaluable insights, practical ideas, and successful strategies for ministering effectively to people over 50. ·The Big Picture and Nuts and Bolts of Senior Adult Ministry. This book offers a fresh framework of ministry goals and vision, as well as the practical insights to accomplish them. It includes steps for effective senior adult ministry, characteristics of senior adults, ways to involve senior adults in ministry, and more! ·150 Solid Gold Ministry Tips, Time—Savers, and Life—Savers. This priceless help will be useful to both those new and experienced at senior adult ministry. ·Powerful Outreach Activities and Events. These tested and proven—effective ideas help meet the social, emotional and spiritual needs of seniors! ·Reproducible Worksheets and Handouts. Found in most chapters, you’ll find these reproducible helps invaluable for sparking creativity for all areas of senior adult ministry. A must—have, fresh, new resource for churches who truly desire to effectively reach everyone in their community.